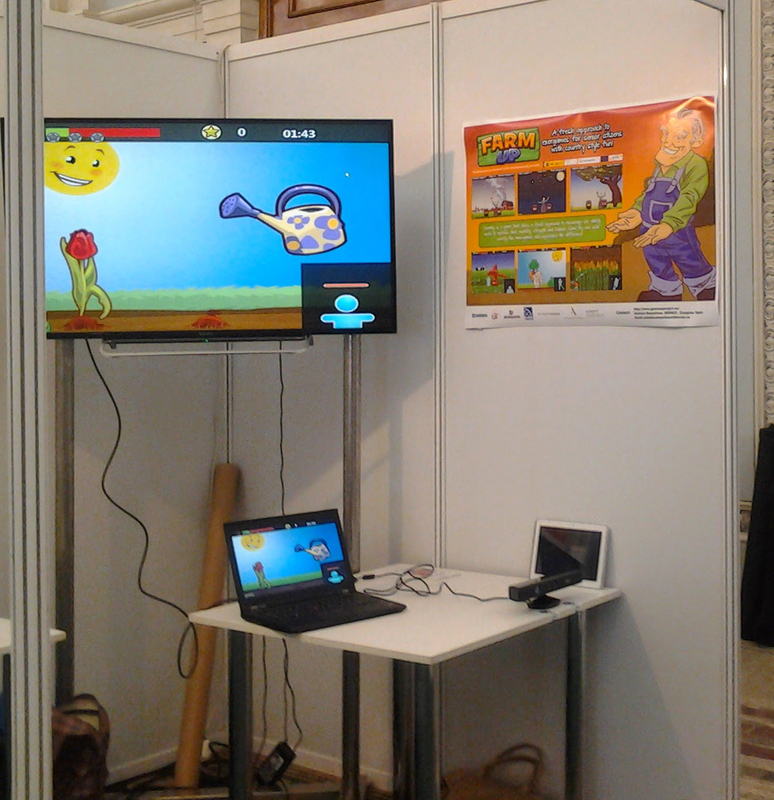 GameUp was present with stands both in the AAL forum 2013 in Norrköping, Sweden and the AAL forum 2014 in Bucharest, Romania. In 2013 we could demonstrate an early version of an apple picking game for balance. 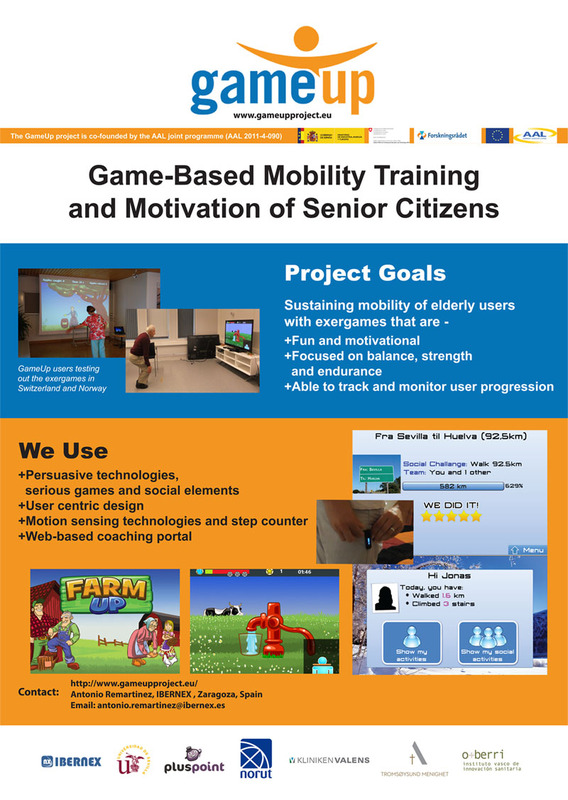 In 2014 we could demonstrate an exercise program consisting of 7 minigames for balance, strength and flexibility. 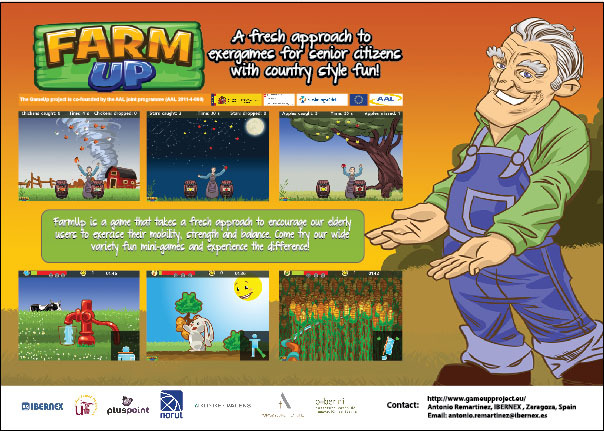 All the games are part of the FarmUp exergames. 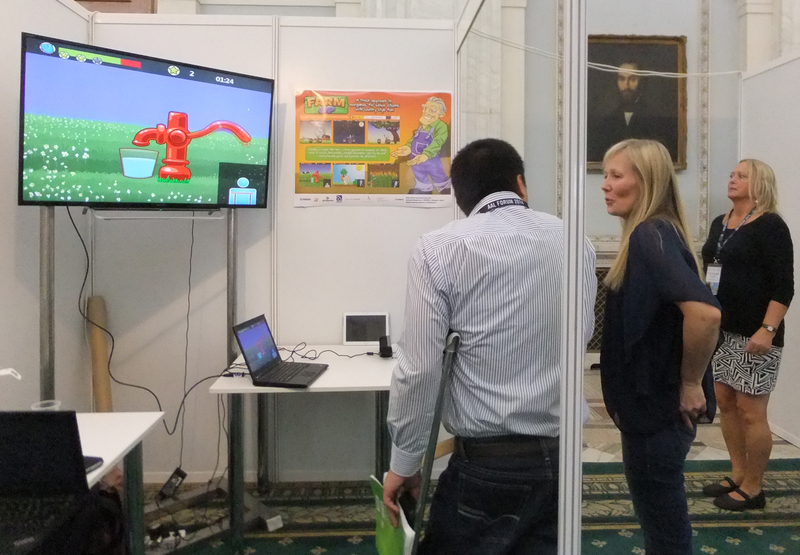 The games were very well received. 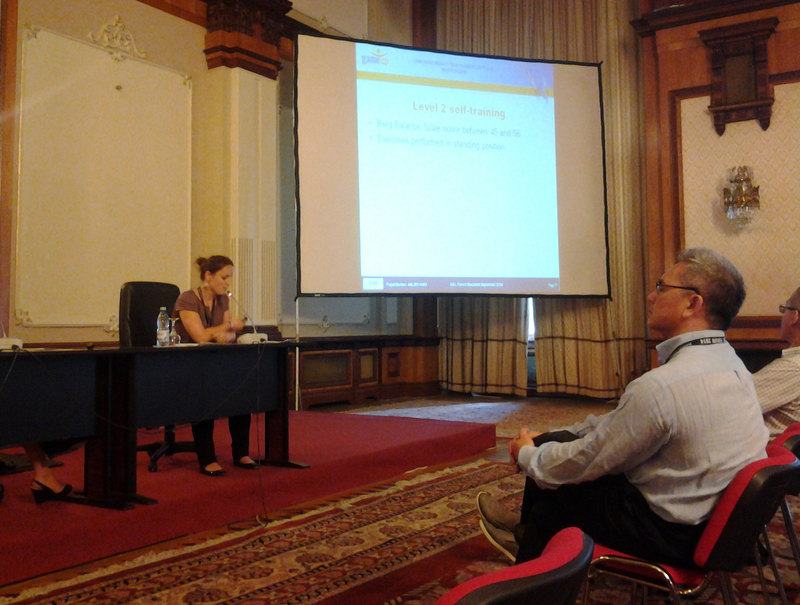 In Bucharest GameUp also arranged a side event / user forum and we had a presentation.